Brussels Airlines is an airline carrier of Belgium with base at Brussels Airport. The airlines flies to over 50 flight destination cities in more than 20 countris in Europe. It also has scheduled long haul flight operations to East, Central and West Africa. Other flight services include charter flight services, maintenance operations and cockpit and cabin crew training courses. Founded in November 2006, Brussels Airlines is a member of IATA and the Association of European Airlines with headquarter in Zaventem (Brussels), Belgium. The frequent flyer program for Brussels Airlines is known an Priviledge and its member lounge is known as Business Centre. Brussels Airlines has plans to increase its long-haul destinations, especially targeted in the North American region. The company also tries to power up th airline's standing and position in Africa. Brussels Airlines operates scheduled international and domestic flight services to the following cities. 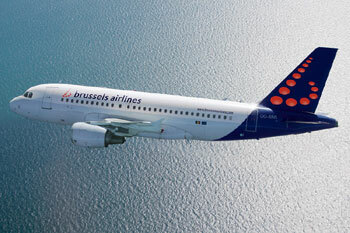 Brussels Airlines Flights To Airports Worldwide.